Denna text är en slutredovisning av arbetet med att analysera hur offentlig upphandling kan stödja innovation för hållbarhet som levererar transformativa lösningar. Hur kan innovation för hållbarhet ges bättre stöd inom befintligt regelverk för offentlig upphandlingen? samtal kring hur viktiga hållbarhetsproblem kan lösas? Hur kan myndigheter via upphandlingen bli ”early adopters” och inte ”laggards” som håller utvecklingen tillbaka då det gäller användandet av transformativa hållbara lösningar? Metoden utifrån insamlat material och föreslår möjliga vägar framåt. Texten är baserad på textanalyser, intervjuer, två workshops, en enkät och ett pilotprojekt. + Well functioning communication between ministries and sectors. + World leading use and development of many low-carbon ICT solutions. + Vision of a zero carbon and innovative future. + “Leading” in many macro trends, such as ICT literacy, aging, understanding of the need to shift from a natural resource based economy to a service economy. - Focus almost exclusively on the supply-side when it comes to low-carbon solutions, with additional focus on incremental improvements within existing systems. Very little focus on transformative solutions that can be used by 9 billion people, i.e. the future we are heading towards. - While there is a broad agreement on the need to move towards a zero carbon future with transformative solutions, few concrete work plans exist to implement such solutions. - While communication is well functioning and friendly between ministries actual collaboration around transformative projects is often lacking, making transformative solutions that require cross sectorial/ministry collaboration difficult to implement. Instead much of the focus is on incremental improvements within current areas of responsibility. - The policies and targets for climate change and CO2 reductions still focus on addressing problems, not creating solutions. - There is lack of clarity in terms of where the responsibility lies for low-carbon ICT support or transformative solutions as this is spread over a number of ministries. Ministries responsible for different ICT aspects have an understanding of the potential, but the Ministry of Environment has not moved beyond “sector by sector” and problem oriented approaches, and current goals are focusing on incremental CO2 reductions. Much of the above could change fast, for example in the fall of 2011 when a new climate policy for Norway might be presented, but today there is a rapidly growing tension in Norway between “the first-generation of environmentalism” and what could be described as an emerging “second-generation of environmentalism”. The first-generation identified problems, especially polluting companies, and tried to address the problem through incremental improvements within existing systems and through end-of-pipe solutions using a national perspective. The second-generation focuses on transformative solutions, especially solution clusters, with new and innovative ways of providing services. The perspective of the second-generation of environmentalism is global and the definition of sustainable is that the service can be provided in a sustainable way for nine billion people. The second-generation thus represents a shift away from incremental solutions within existing unsustainable systems. The first generation is institutionalized though the bodies responsible for “environmental issues”. While many working with the first-generation of environmentalism intellectually understand the need for a shift towards a new approach and frequently arrange seminars, produce reports, etc about the second-generation of environmentalism, the focus (including targets and capacity) is almost exclusively on incremental CO2 reductions within existing sectors with a national focus. Norway can be described as a world leader in the first-generation of environmentalism. This leadership seems to have resulted in a situation where those in charge of “environmental” issues are intellectually grasping the need for a new approach, but the structures, traditions, mandate, etc push them back to a first-generation approach. Norway has great potential to become a world leader in the second-generation of environmentalism, building on many interesting initiatives. The challenges should however not be underestimated and Norway needs to think in terms of leapfrogging and making significant changes in the current organizational structures in order to be able to play a relevant international role in the second-generation of environmentalism. Instead of a better car, the focus is on smart working, resulting in promotion of teleworking. Instead of better airplanes the focus is on smart meetings, resulting in promotion of videoconferencing. Instead of better paper production the focus is on smart reading, resulting in e-books. Instead of CCS the focus is on smart buildings that provide lighting, a comfortable temperature, etc while being net producers of renewable energy at the same time. This report focuses on the opportunities to reduce the greenhouse gas (GHG) emissions in work-related contexts, thanks to the deployment of IT solutions that enable one or more individuals to work or collaborate remotely. In particular the report analyzes the potential associated with teleworking and virtual meetings to reduce carbon emissions from daily commuting by car and business air travel, and the conditions under which such potential could be realized. The goal of the report is to gain an understanding of the scale of the opportunities available while identifying the key drivers that may enable or hinder the full achievement of such opportunities. By analyzing different trajectories of possible future developments, this report provides insight into a future in which maximum GHG emission reductions could be achieved. Technology in a Cold Climate aims to engender a greater understanding among the technology sector and policy makers about the role that technologies could play in meeting the UK’s ambitions and challenges. A revolutionary transformation of society based on new technology would allow the UK to take the lead towards a sustainable economy. This transformation would fundamentally change how the economy works and how many resources are used and in what ways, while most of the physical infrastructure would look almost identical to what is around us today. a level that humanity has never seen before. The Sustainable Innovation Zone, SIZ, is an internal HP web portal engaging employees to share ideas on ICT applications that can help reduce CO2 emissions. Rather than focusing on how HP can reduce its own environmen- tal impact, the SIZ focuses on how HP can help custo- mers reduce their carbon footprint by using HP solutions. The SIZ promotes ICT applications that signi cantly reduce CO2 emissions, the use of resources and improve service quality. Two hundred years ago, China was the largest economy on earth, and in a few decades, the country will most certainly reclaim that position. There can therefore be little doubt that the future of China will shape the global economy; the question is, in what direction? This report sets out to examine one of the greatest challenges in the 21st century, namely, how to combine global economic development and a sustainable use of natural resources. The objective is to encourage a constructive discussion regarding the rapidly increasing outward investment flows from China, from a global sustainability perspective. The report explores the roles of the different actors involved and the manner in which the underlying trends driving this outward investment can be directed to ensure sustainable resource use. China, Russia, Brazil and South Africa. This study focuses on the scope and potential for companies in the UAE and the rest of the Arab world to emerge as leaders in investment and export of sustainable goods and services, as well as becoming a key international actor in promoting and supporting sustainable development. This report shows that there exists significant interest within the Indian business sector in sustainable development and innovative solutions that can be applied to achieve this goal. The approaches utilised in this regard by lead- ers in the Indian corporate sector are well ahead of many of their western counterparts, which are often, and often erroneously, viewed as leaders in the eld of corporate social responsibility (CSR). A number of common denominators exist within the progressive approach of these Indian companies, and these have been collectively referred to by one Indian company as “third generation CSR”. This third generation CSR is an approach where companies look to ensure that their core businesses deliver sustainable development results. This dif- fers from the rst generation of CSR, that looked at philanthropy as one way of using pro ts, and the second generation that was searching for ways of minimizing the negative impacts of the companies’ operations. The most important element of the third generation CSR is that it examines the core activities of a company and determines means by which the company can evolve in order to ensure that it contributes to welfare, even if this does not translate into immediate returns. This approach means that environmental and social concerns are the starting point for the business activity, as opposed to being factored in at the end. Rather than compromising on pro t, companies provide information that allows government to proactively change business regulations in order to reward companies which deliver on social and environ- mental objectives, such as reducing the use of natural resources. 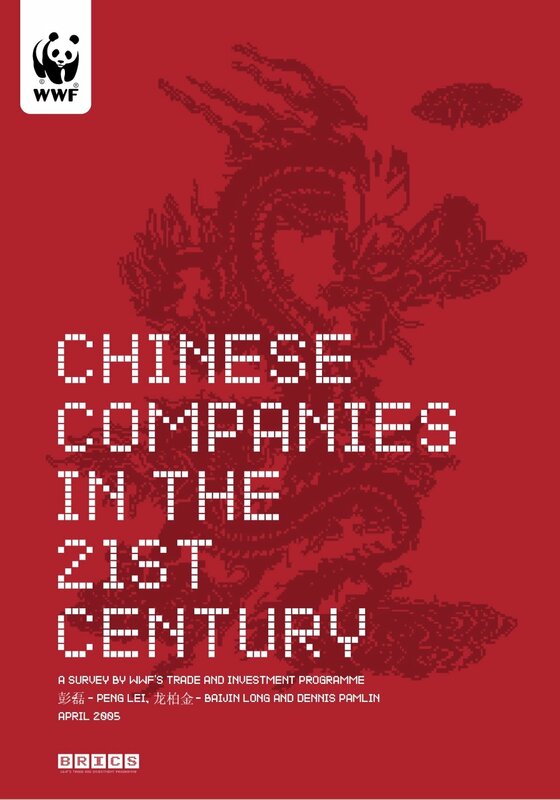 This report is based on a survey of 182 of the largest and most important Chinese companies. WWF would like to highlight the following summarized results and outline possible steps forward. 1. A significant minority (22%) of Chinese companies say they are going beyond current regulation and some (13%) are even suggesting tougher rules. Many of these companies also have concrete suggestions that could help China become a leader in the provision of sustainable goods and serv- ices, not only in China but also for the rest of the world, and thereby move beyond the existing CSR discussion. 2. While one group of companies takes environmental issues seriously and is proactive, a large group could be described as almost hostile to environ- mental issues and do not even want to engage in discussions. 39% of respondents said “many” or “very many” Chinese companies were breaking the law, and 57% said companies were trying to lower standards. 3. There is a need to develop domestic solutions that support export of prod- ucts and services that help the environment, according to 78% of the com- panies surveyed. 4. 85% think traditional Chinese philosophical concepts like “union of nature and man” could help both Chinese and foreign companies become more environmentally friendly. 96% thought that the “circular economy”, a modern concept used widely in China today, also could be of help. 5. 85% of the companies said there is a need for stronger rules for environ- mental reporting, transparency and monitoring for large companies. Only 2% said there wasn’t and 13% said they didn’t know. 6. 53% said they would be willing to engage with NGOs like WWF in discus- sion about how sustainable development can be promoted, even though NGOs are not yet key actors in China and for many Chinese companies the idea of policy work with NGOs is new.